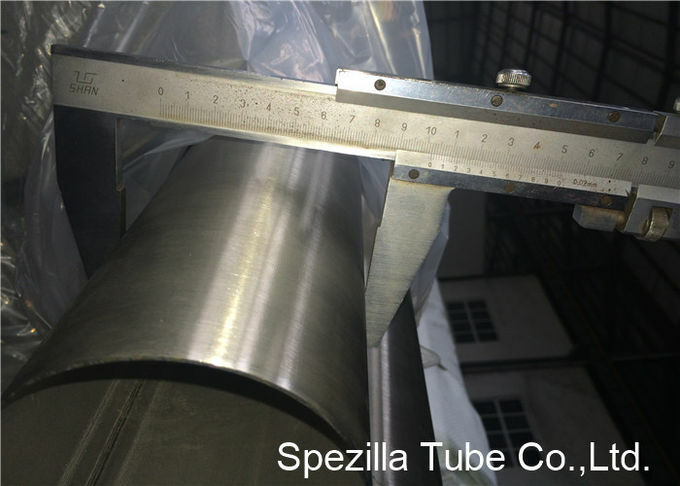 Spezilla's reputation for cleanliness and surface finish of welded stainless steel sanitary tube, combined with quality of service have made Spezilla's tubes an accepted standard in the sanitary, dairy, food, beverage and pharmaceutical industries. 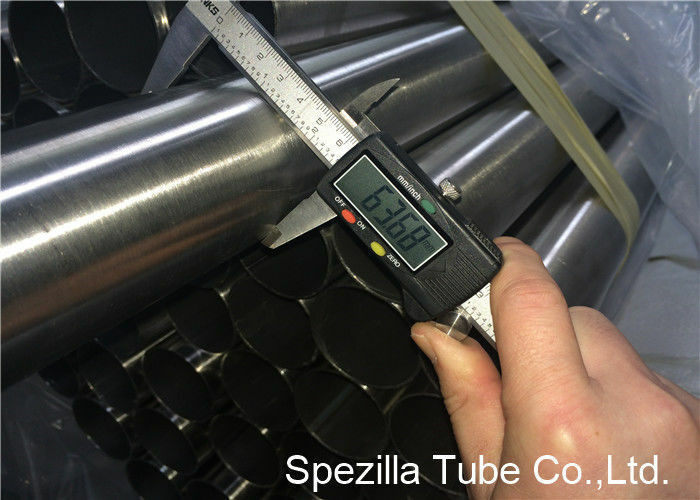 Spezilla maintains a large inventory of welded stainless steel sanitary tube to meet your immediate needs. Our warehouse is able to quickly ship welded stainless steel sanitary tube in lengths up to 20 feet. Each tube order is processed promptly and packaged in tri-wall corrugated cartons equipped with wooded ends to protect each piece from damage. Welded stainless steel sanitary tube types 304/304L and 316/316L are available in sizes from 1/2" OD - 8" OD produced to ASTM specifications A249, A269, A270 or A778. Other diameters, specifications and lengths are available on special order. Finishes available range from Bright Annealed (mill) to 240 grit mechanical ID and OD. To ensure the highest surface quality in all of our welded stainless steel sanitary tube, Spezilla routinely go beyond the requirements of ASTM A269 and A270 by performing the full battery of ASTM bend and deformation tests required by ASME SA249 as well as additional deformation tests developed by Spezilla. The tests, combined with specific raw material requirements, eddy current testing at the tube mill, 100% bore-scoping prior to mechanical polish, and tighter OD and wall tolerances allow us to provide a more consistent superior quality product to the marketplace. Hydrogen bright annealed in line to 1900°F (1040°C) minimum and rapidly quenched. Surface finish is 20 µ-in Ra (0.5 µm) ID maximum, 30 µ-in Ra (0.8 µm) OD maximum measured per ASME/ANSI B46.1 with the profilometer reading at 90 degrees to major polishing pattern. To assure strict accordance with ASTM A270, Spezilla welded stainless steel sanitary tube is subjected to extensive reverse bend, reverse flattening, flange, and eddy current testing. After successfully completing testing, tubes are sealed with air tight end caps and individually packaged in high quality poly sleeves. Tubes are then packaged in heavy-duty tri-wall boxing. Wood boxes are available for export shipments when specified. Spezilla is a global supplier of stainless steel sanitary tube for the Brewery, Food, Dairy and Pharmaceutical Industries. Spezilla offers tubes from ½” to 8” OD in 304L & 316L polished on the ID to 20u-in Ra/OD to 30u-in Ra.